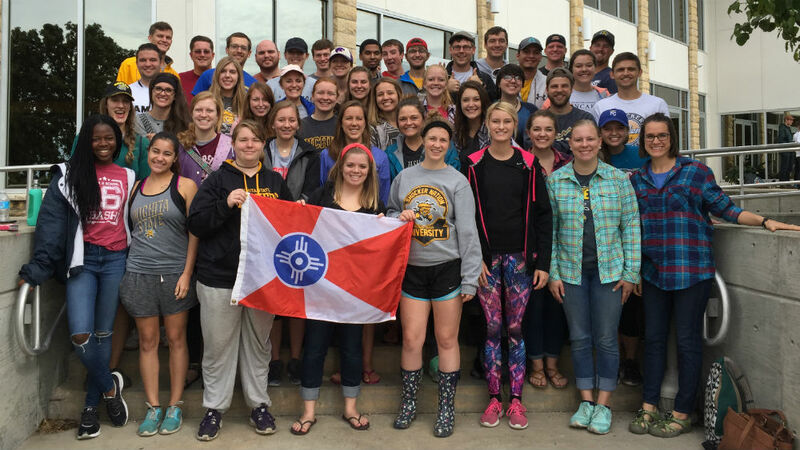 Christian Challenge is River’s college ministry. Challenge is open to college students from any of the universities in the Wichita area. Challenge meets at River each Thursday night at 7:30 PM while classes are in session. Thursday night meetings include worship, biblical teaching, and fellowship over pancakes – a longstanding Challenge tradition. Small groups are also important at Challenge. Student-led men’s and women’s small groups meet at various times and locations Monday-Wednesday. These small groups offer a more intimate setting for biblical study, relationship, encouragement, and accountability. For more information about Christian Challenge or to find a Challenge small group click the link to the Challenge website below or contact Trace.